The Teams are set with usual AUSC Offices Leaders. 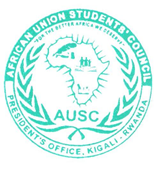 Therefore, in respect to the AUSC International Action Plan 2016-2019 the AUSC President's Office leaders met on Friday March 31st, 2017 everyone confirmed own basic contribution to the ASIDF and fundraising 2 million Rwandan Francs with 1USD=830 Rwandan Francs to fund-raise the initial fund to open the 1st Bank Account inside the ECOBANK "The Pan African Bank" Named "African Union Students ' Council (AUSC)" and finally allowing the AUSC President's Office to proceed with opening two different Sub Accounts connected to the Main Account and those sub accounts are the 1st named African Students' International Development Fund (ASIDF) and the 2nd Named African Students' International Critical Thinkers Board (ASICTB) which will be used in all possible transactions reserved for AUSC Congresses, Conferences, Workshops, Training, Donations for different Academic and Leadership Purposes. 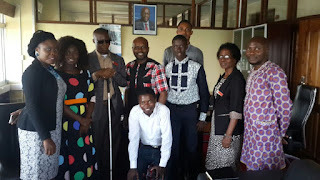 Honorable Mr Georges NDAYISHIMIYE was appointed as the ASIDF International Coordinator since January 9th, 2017 .
is a 28 years old, a man with physical disabilities using crutches to move background in information and communication, and now, student in Economy and in management, worked as volunteer in position of communication manager in NGO fighting for rights of people with disabilities(u can see:www.uphb.bi) and currently serving as Ambassador of UN Convention of Rights of People with Disabilities in Burundi(handicap international Burundi).Am a Christian and single, passionate for Human rights, deeply stuck on rights of people with disabilities and *pan African theory*. (UPHONDO(www.uphondo.com) COMMUNITY, SAA) within All the objectives which are being worked on being related to SDG, and always keeping attention of each and every one on fourth SDG about social, political and economic inclusion, with believe that the world will never reach SDG when there is any community of people left behind, whose vision will be realized when people with disabilities will be represented everywhere and in everything concerning all aspects of life, including Public life, and enjoying all SDG achievements. 4) Founder of 4 small businesses. 1) A strong collaboration with 2banks of Burundi (CRDB, INTERBANK BURUNDI) since 2004. 5) Accountant in IBE GLOBAL BUSINESS. AUSC president and Founder Message shared to Honorable Mr Georges NDAYISHIMIYE is the appointed as the ASIDF InternationalCoordinator . 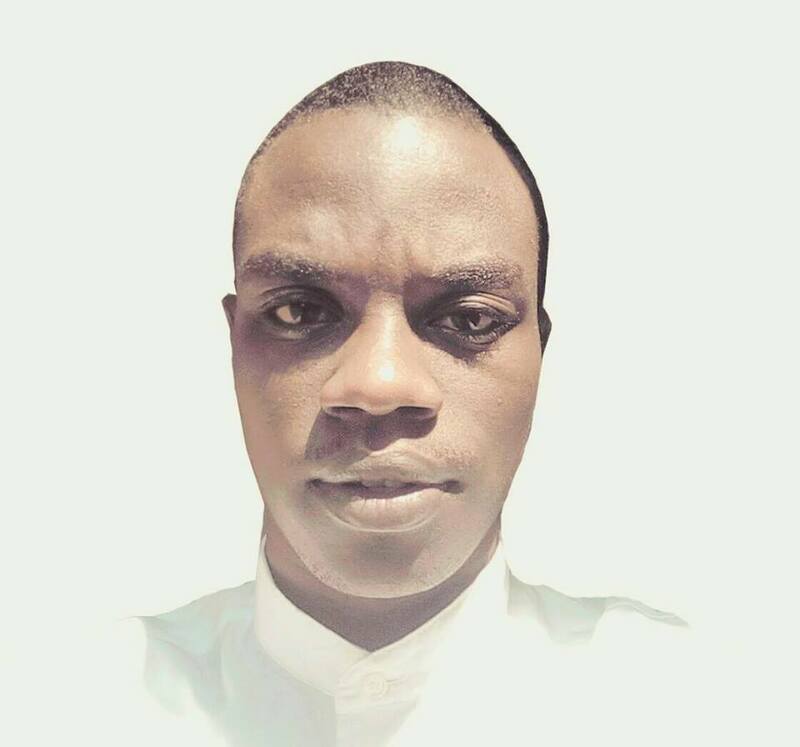 Keep strong to this great appointment inside the AUSC International Decentralized Leadership as you are from now appointed a special Position inside AUSC as Honorable Mr Georges NDAYISHIMIYE , the ASIDF International Coordinator . And the whole ASIDF Leading Team from ASIDF International Level to National Level will be your Team to coordinate its all Activities and to appoint its Leaders is The AUSC President's Office Duties as well as to receive Reports. ASIDF International Office assisted by AUSC International Committee are definitely allowed to create ASIDF school Clubs on National Level. Therefore you are advised to mobilize the 5 additional ASIDF International Office Leaders to complete your Office as instructed above as quickly as possible). To be able to Start your Regional, Diaspora, National, mobilization of other ASIDF Offices all, . Do your Job as much as possible; with this above structure to be fully completed with all Offices physical leaders all completed. 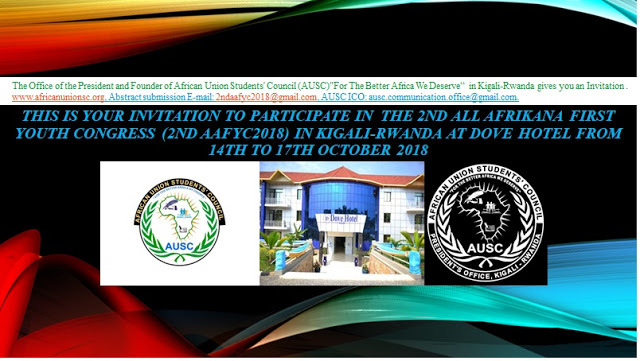 Congratulations and courage with your hard work is the Africans all and as well our pleasure to have you appointed for International Leadership of this strong Team to lead with success this AUSC Economic Sciences Division. Congratulations. 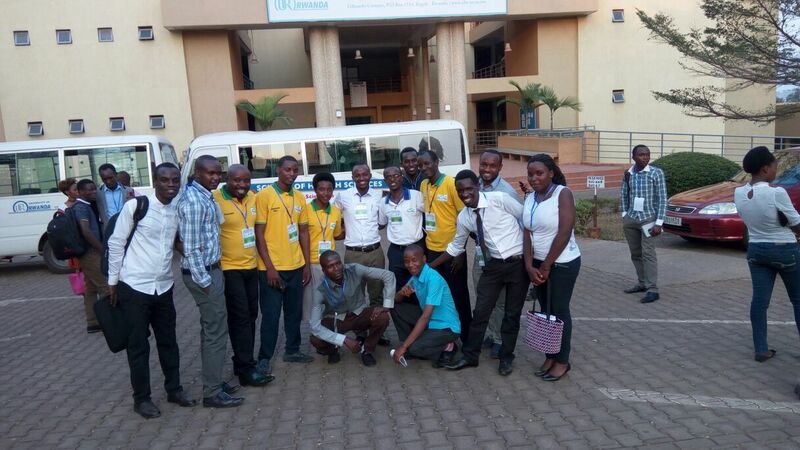 Follow this link to join the African Union Students' Development Fund Only Group, where you will be sharing your strong brain and lead the Africa to a Self-reliant Africa We Deserve. Assign some body to become the ASIDF International Office Communication Officer, then Assign him/her all the duties you need to make to complete an online office including Strong Twitter Account, Google Plus account, Soon a Website, and will be generating hashtag for ASIDF to circulate to the Whole Globe, We are transforming Africa, to make it a better place we deserve as young generation as deserving our next generations on this continent of Africa. Thank you for applying to join AUSC and Congratulations for this new AUSC Appointment following the AUSC International Action Plan 2016-2019. Good luck in this new Appointment for these Attributions, Duties and Responsibilities offered as accountable assignments to practically and positively Change this Continent of AFRICA. Approved on January 25th, 2017, .